I know it's a little early to be thinking about Father's Day, but I was playing around with a recipe and it came out so good that I wanted to share. Last year I made some Biscoff Bourbon Bacon Chocolate Chunk Cookies and they came out delicious. 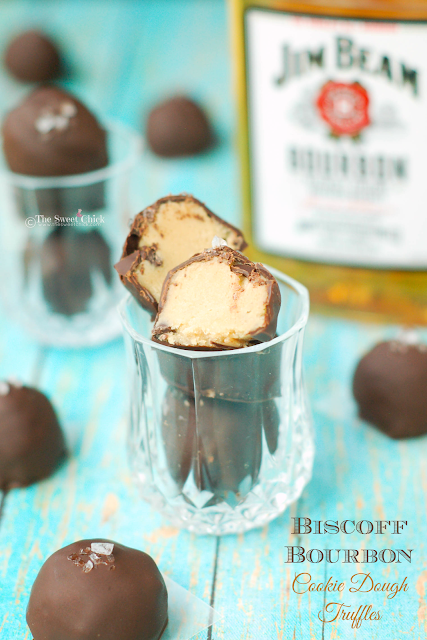 I wanted to try the Biscoff and bourbon combo again, so I made these Biscoff Bourbon Cookie Dough Truffles and covered them in dark chocolate with a little bit of sea salt on top. This was a good use of bourbon. 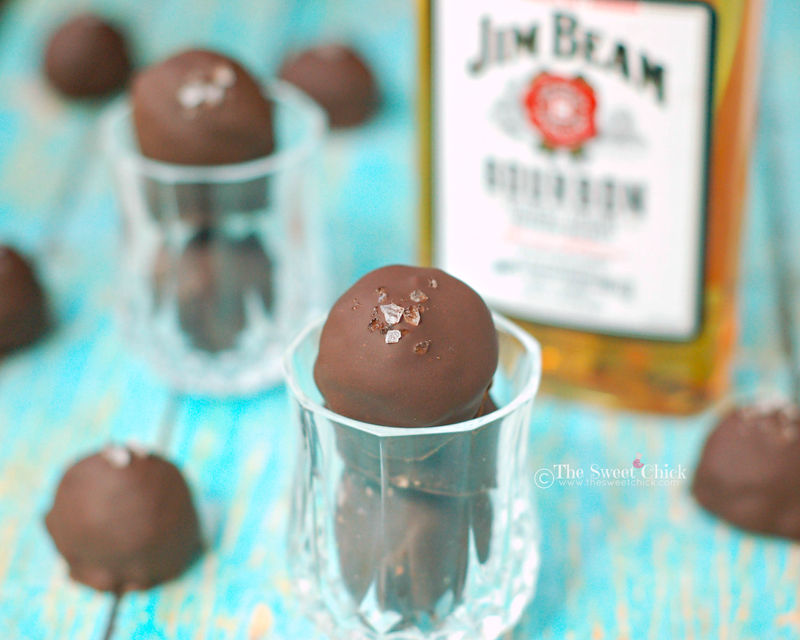 I used Jim Beam bourbon for these truffles, but feel free to use your favorite bourbon. 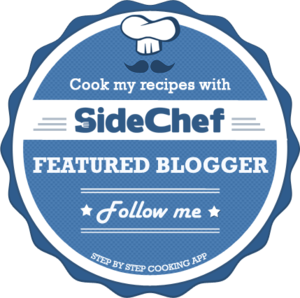 The meringue powder is the egg replacement for the no bake cookie dough. You can find it where they sell Wilton products like Walmart or Michaels. I am still using a mini scoop to make the balls, it's faster and easier than rolling them. And makes the truffles bite sized. I chose dark chocolate for the coating, but you can do semi-sweet chocolate if you prefer. Either one will go well with the sea salt. I had some extra coarse sea salt that I crushed with a rolling pin to make the pieces a bit smaller. It worked out good. The Biscoff smooths out the bourbon. 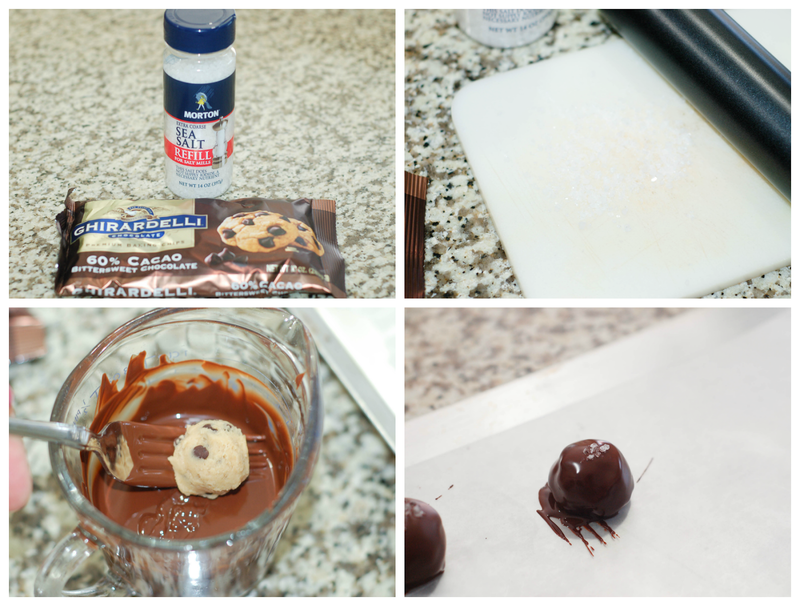 The dark chocolate and the sea salt compliment the cookie dough. I think dad's out there would love these bourbon flavored Biscoff cookie dough truffles. There is definitely a punch of alcohol in them, but the sweetness of the other flavors balances it our perfectly. My husband and his buddy loved them. And even my lady friends loved them. Just keep them away from the kids. In a stand mixer, cream together the butter and sugars. Then add the cookie spread and vanilla, mix on low until well blended. 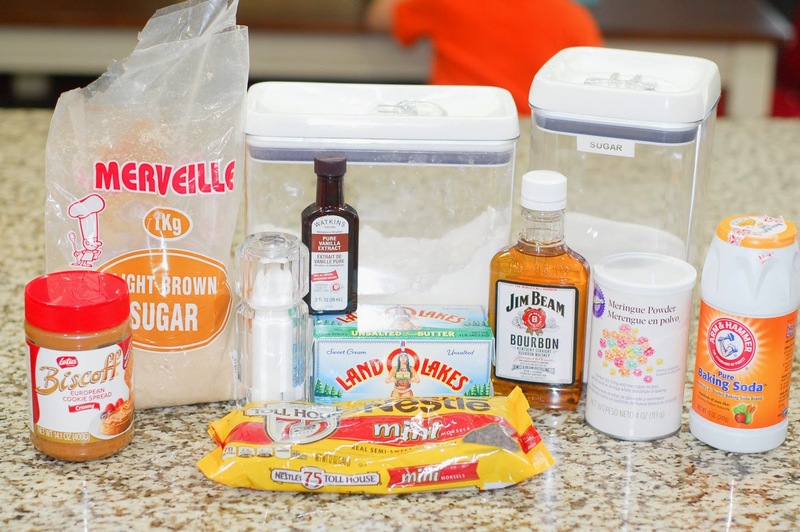 Add the merinque powder and bourbon to the mixer bowl and mix well. Next, add the flour, baking soda, and salt. Mix on low until dough starts to form. 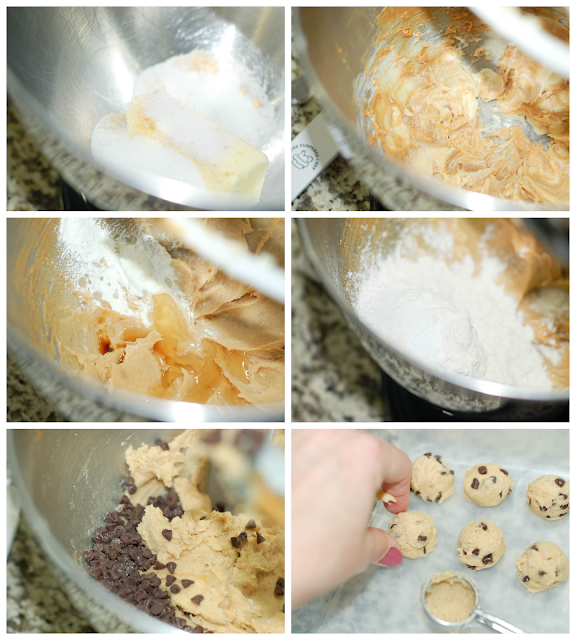 Last, add the chocolate chips and mix until all incorporated. With a mini scoop, measure out 28 mounds and place them on a wax paper lined air-tight container. Place chocolate chips in a microwave safe container and melt for 30 seconds at a time, stirring in between, until all chocolate is melted and smooth. If you are adding some sea salt, add it before the chocolate sets. These truffles don't require refrigeration, but I kept mine in the fridge anyway. Do keep them in an airtight container.